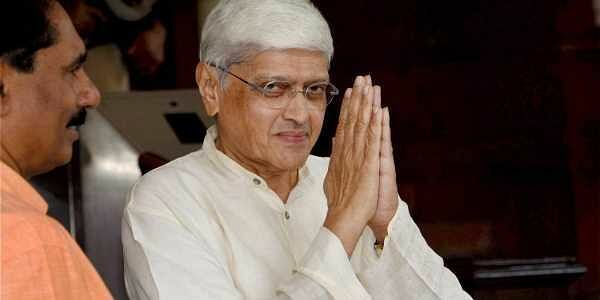 NEW DELHI: Former West Bengal governor Gopalkrishna Gandhi today filed his nomination for vice president in the presence of senior Congress and other opposition leaders, including from the JD(U). Also present were other opposition leaders, including JD (U)'s Sharad Yadav, CPI(M)'s Sitaram Yechury, CPI's D Raja, NCP's Tariq Anwar and Praful Patel, NC's Farooq Abdullah and DMK's Kanimozhi. Gandhi will contest against the NDA's candidate Venkaiah Naidu.